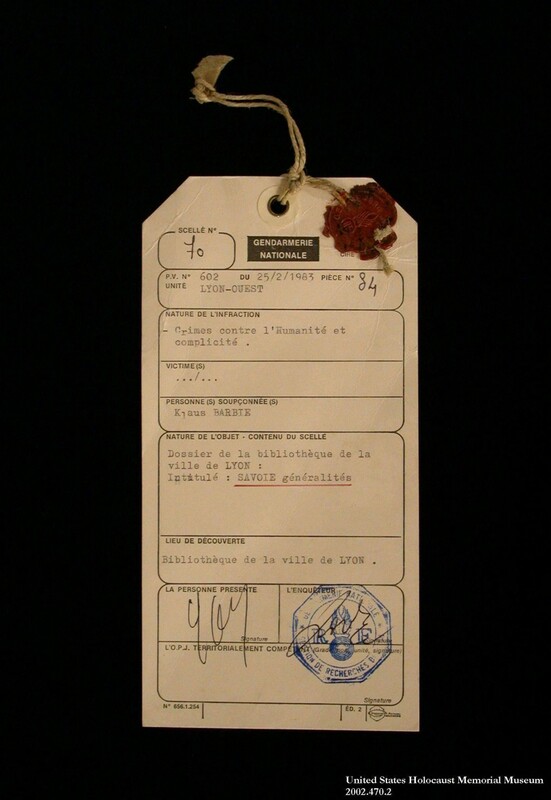 Evidence tag from the trial of Klaus Barbie in Lyon, France. This standard police form lists Barbie's infractions as crimes against humanity and complicity, concepts defined at the International Military Tribunal at Nuremberg decades earlier. The line in which the victims' names would be recorded is left blank. February 25, 1983.